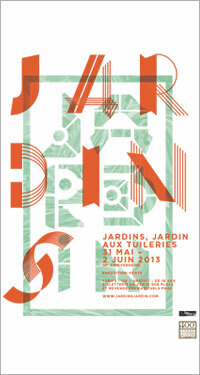 10th anniversary of «Jardins, Jardin» at the Tuileries, Paris. Created by the Jardins, Jardin association in partnership with the Louvre, this event has established itself as a reference for trends of urban gardens. 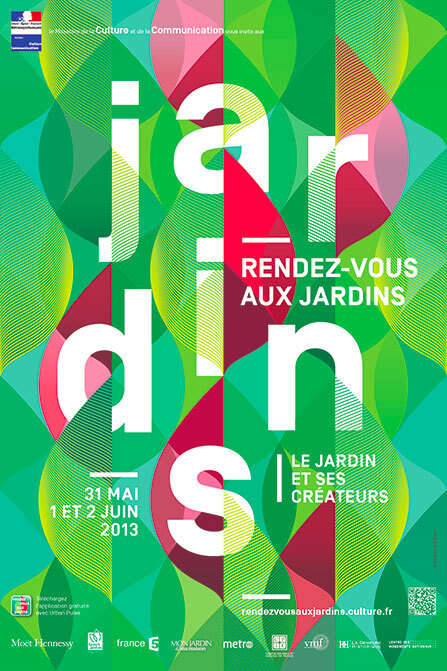 For its tenth edition, “Jardins, Jardin” chose “New Perspective(s)” as a central theme. This is a particularly eventful year since coincides with the 400th anniversary of the birth of Le Nôtre, Louis XIV gardener. On the program, the rediscovery of the Jardin des Tuileries by a sign posted path. In addition, “Jardins, Jardin” questions the main players from the world of gardening on “new urban perspectives” through the presentation of twenty gardens, terraces and balconies teaching created by landscapers and specialized companies. Three other events are also being held to mark the 10th anniversary: the baptism of the Rose Gardens, a garden by designer Philippe Starck, the garden of the Carré du Sanglier, at the heart of the Tuileries and the baptism of the André Le Nôtre orchid by the house of Vacherot & Lecoufle. The giardini and the lido of the city of Venice are welcoming, until November 24th, the 55th edition of the Biennale of Contemporary Art. Theater, architecture, cinema, dance, music, installations and sculptures are on the program of the event. 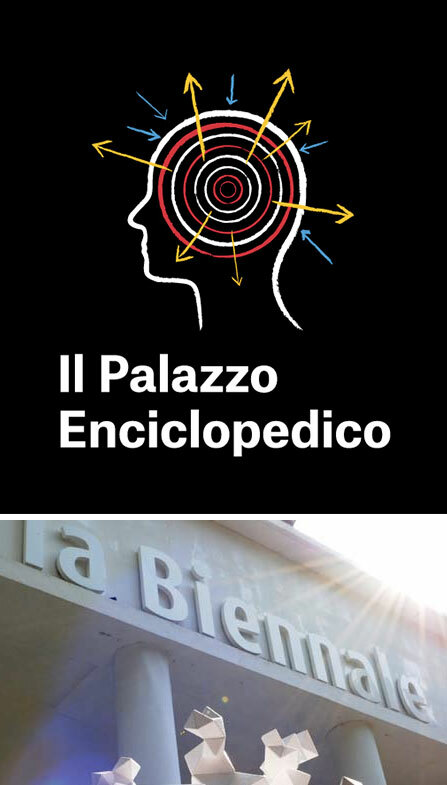 For five months, Venice hosts one of the world’s leading events dedicated to all artistic expressions with a particularly busy program this year, located under the sign of the “Encyclopedic Palace”. At the Arsenal and in the Castello Gardens lie the pavilions from 88 exhibiting countries making up a course that aims to be interactive. Massimiliano Gioni, curator of the Biennale this year, wants to focus on the relationship between the work and the visitor. Not just to introduce a sterile list of contemporary works, but to put the links and relationships between the past and present inspirations of the 150 attending artists into perspective. Artistic productions from the early twentieth century – like those of Hilma af Klint and Augustin Lesage – will be added alongside recent works, such as the cosmographies of Guo Fengyi, the religious icons of Jean-Frédéric Schnyder and the videos of Artur Zmijewski. «Max Ernst» at the Fondation Beyeler, Riehen. With more than 180 paintings, collages, drawings, sculptures and illustrated books, this large retrospective exhibition presents all phases of the creation of the artist. to discover the richness and diversity of the work of an artist who made a profound mark on his century. 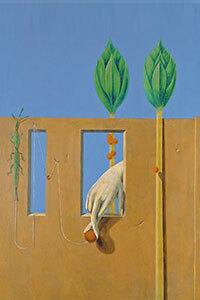 Constantly inventing figures, shapes and innovative techniques such as rubbing, scraping, decal and oscillation, Max Ernst never stopped exploring new directions. He also gave rise to a singular work, which is beyond all clear stylistic definition and whose development has also been marked by the turbulent life and changing places of residence of the artist in Europe and America. 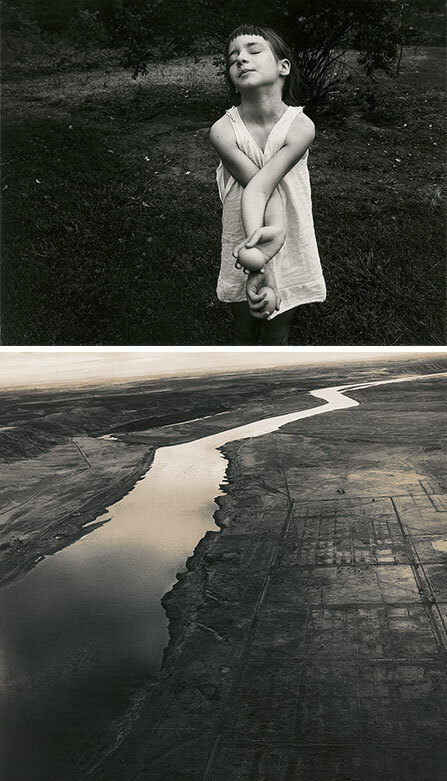 «Emmet Gowin» at the Foundation Mapfre, Madrid. The biggest solo exhibition of the American photographer, this retrospective features about 200 works. about volcanic eruptions or human use of land, before focusing on insects. Finally, a few months ago, Emmet Gowin decided to point his lens on the Andalusian land, producing some aerial photographs of the exhibition, produced exclusively for the occasion. «Paul Rebeyrolles» at the Chateau Lynch-Bages, Pauillac. After Di Rosa, Tàpies and Emilio Perez, the former cellars of Château Lynch-Bages welcome a selection of paintings and sculptures by the rebel artist. by the wealth of materials: fabrics, netting, straw, horsehair, cardboard, glue, wood breathe a living relief, moving to huge canvases. «Last Train» by Ron Arad at the Palazzo Cavalli, Venice. 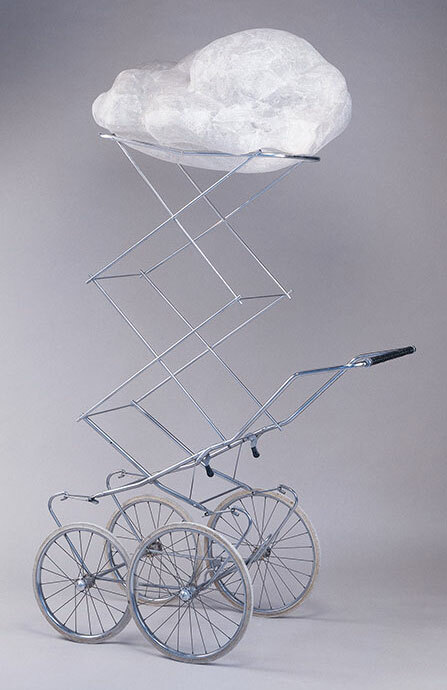 This «last train» is a moving and powerful representation of the Israeli artist’s vision of Steinmetz Diamonds. to take on the role. This exhibition is a response from Ron Arad at the behest of Steinmetz to create a piece of diamond jewelry incorporating art. The piece designed by the artist aims to express the strength of the raw material more than its symbolic value and adornment. Like Queen Elizabeth I, who engraved love vows on bottles with her “ring scrawl”, Robert Burns drew poems on the windows of trains. With “Last Train”, Ron Arad inaugurates a series of collaborations with the house of Steinmetz. 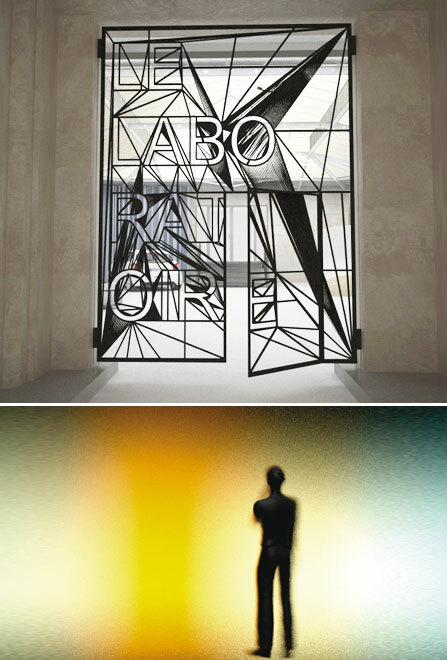 The exhibition is part of the 55th Venice Biennale. «Safe haven» in the city of ceramics, Sèvres. This exhibition brings eight artists together in modern and contemporary galleries, American and European, most of which have never shown in France. looking for a more just comfort. Many trompe l’oeil pieces, beautifully evoking the patina of time, give the ceramic the appearance of metal and rust, the primordial roughness of the mineral. Beauty and humility come together for an exhibition that is at once strong and peaceful. «Rendezvous in the Gardens» throughout France. For three days, throughout France, this event invites the public to go to parks and public and private gardens to discover their wealth and enjoy the entertainment that they provide. «New Lighting Designs by Paola Petrobelli» at the Gallery Libby Sellers, London. 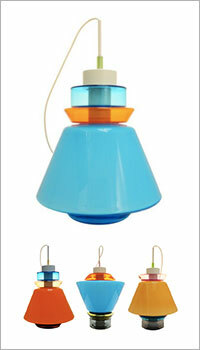 London based, Italian artist Paola Petrobelli presents her latest lighting designs. like the Meccano, as a source of inspiration. Moulded geometric shapes were designed to be stacked on top of each other. Each layer thus creates different forms and endlessly broadens the colour palette. «Nuage» at the Musée Réattu, Arles. 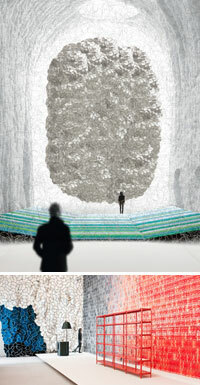 As part of Marseille-Provence 2013, the Musée Réattu in Arles is proposing an artistic reverie inspired by the cloud. of the cycle of life, an inexhaustible natural spectacle, constantly renewed and always different, the cloud is a subject of endless fascination. It embodies all the attributes of the marvellous: the elusive, metamorphosis and, above all, weightlessness. It is immediately the most effective of imaginary elevators, one that allows us to get rid of gravity. A natural phenomenon, with a paradoxical subject, a combination of opposites and extremes (mass, transparency, opacity, inconstancy…), the cloud appears in all cultures as an extraordinary event, eternally connected to infinity. This is the metaphysical object par excellence, but also the most human of celestial bodies. Extraordinarily ambivalent, at once carnal and intangible, the cloud between heaven and earth lives as a messenger. «Jardins à la française» at the Paul Bert & Serpette markets, Saint-Ouen. Following the theme of “the art of living in the garden,” the two star markets of the Puces de Saint-Ouen, the largest antiques market in the world, are inviting a special exhibition into the new Galerie des Puces. «The Olfactive Project» at the Laboratoire, Paris. 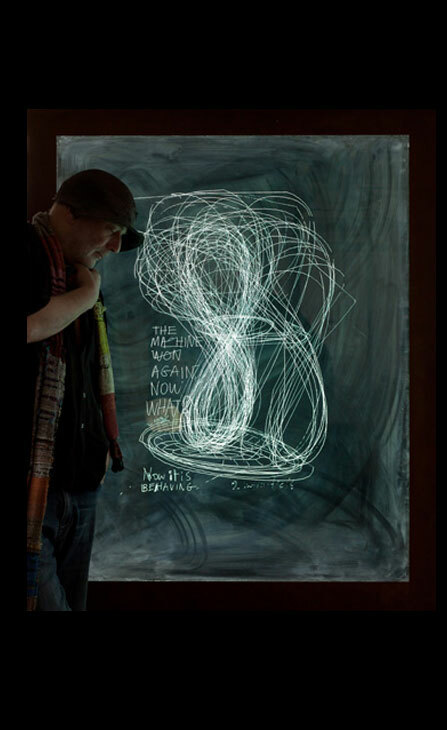 More than an exhibition, this is a real sensory exploration that brings David Edwards half way between the sciences, art, design and gastronomy. vector of a new sensory language. The first experiment deconstructs four fragmented odours consisting of the olfactory DNA of coffee. Ryan Spinoglio, a guest of the Laboratory, worked on creating four unique experiences: a cloud of coffee (the Whaf), an amazing capsule integrated into the new culinary design object by David Edwards (the AeroChef) through which we can “breathe and eat” coffee and, finally, in the traditional way, a tasting group with Siphon and Expresso. and reflect the dramatic nature of his inspiration. 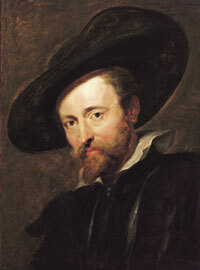 It also offers intimate moments, unveiling a more personal side of Rubens. «Paris mon amour, Enoc Perez» at the Galerie Nathalie Obadia, Paris. 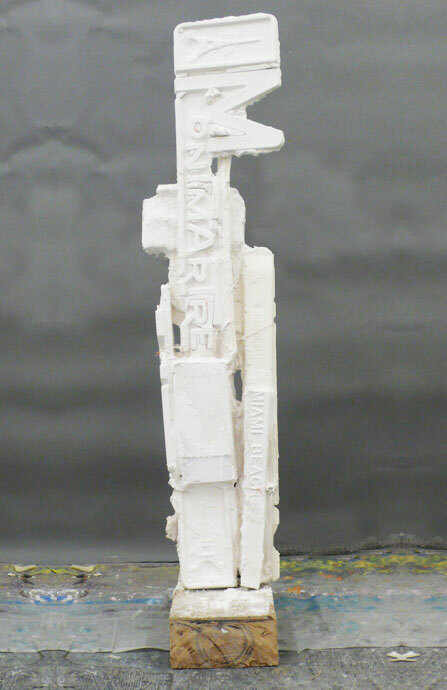 The third exhibition from the artist, “Paris mon amour” expresses his art through his sculptures. Peintre…Peintures figuratives depuis l’ultime Picabia, at the Centre Pompidou in 2012, Enoc Perez returns with shapes. He continues to explore themes of modernist architecture, nostalgia and the culture of Puerto Rico where he comes from and which is the source of inspiration for his artistic work. The sculptures revisit atmospheres of hotels in the Caribbean, a theme that is also present in his paintings from the 2000s. The most abstract architectures define, through a range of very subtle and austere colours, the even more modern buildings that are already on the way to becoming vestiges of America and its history. «Momentané, Ronan et Erwan Bouroullec» at the Musée des Arts décoratifs, Paris. Ronan and Erwan Bouroullec revisit fifteen years of their designs in the great nave. 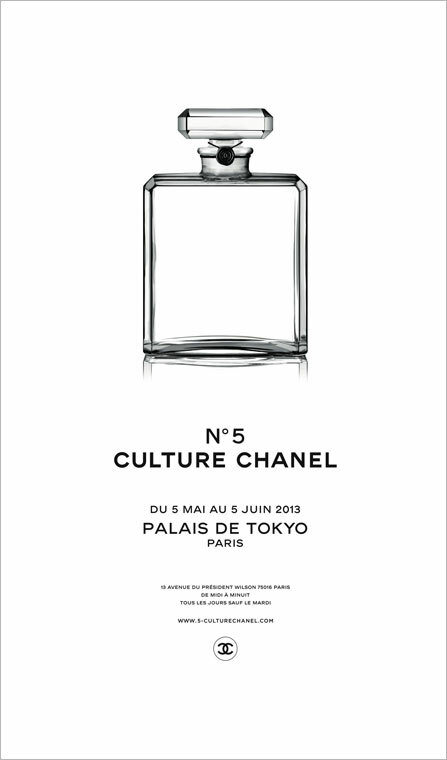 «N°5 Culture Chanel» at the Palais de Tokyo, Paris. The mythical perfume, Chanel N°5 is revealed throughout this exceptional exhibition. «The N°5 is a fragrance that comes from afar. It comes through countries, gardens, books, poems, artistic movements where it takes the source of modernity from its composition every time. This is a fragrance that is born from a love story, which its base note very subtly evokes at precisely the same instant in time grasps it and carries it to us; so close and never fugitive, revealing even our most secret failings», said Jean-Louis Froment, curator of the exhibition. Works of art, photographs, films, archives and objects reflect the multiple influences that fed the world and the imagination of Mademoiselle Chanel, creating an echo of her own reflection and giving birth to this unique perfume whether from her favourite places or the creations of her artist friends. Focused on the permanence of the relationship between Chanel and the arts, «N°5 Culture Chanel» reveals the artistic, timeless and iconic essence of the perfume. 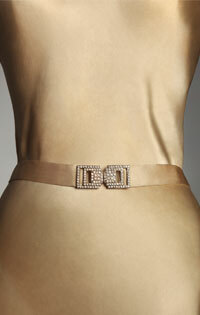 «Paris haute couture» at the Hotel de Ville, Paris. Put together amongst others with the collections of the Musée Galliera, this exhibition is a chance to see some exceptional models for the first time ever in Paris. «Paris haute couture» invites us to contemplate the mythical dresses of Chanel, Balenciaga, Vionnet, Courrèges and others selected from the finest pieces from the Musée Galliera collections, as well as loans from the most renowned institutions and fashion houses. Also united for the first time at the Hôtel de Ville, are more than a hundred creations depicting 150 years of fashion history. This is a unique opportunity to discover some masterpieces that, for the most part, have never been seen before. These outfits are accompanied by documents, photographs, drawings, and journals highlighting the invaluable talents and savoir-faire of the designers and couturiers. Discover what goes behind the scenes of the most famous ateliers in the world and witness the birth of these works of art, from conception to completion. 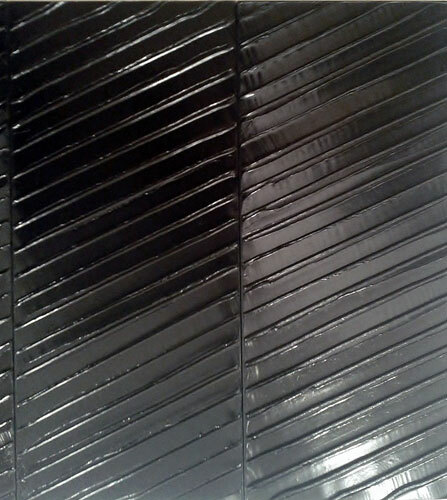 «Soulages XXIe siècle» at the Villa Medici, Rome. The Academy of France in Rome has organized an extraordinary exhibition of the greatest living French painter. «Soulages XXIe siècle» shows how this internationally recognized artist – active since the late 1940s – is now a fully contemporary artist through a selection of paintings and works on paper that date back to the beginning of our century. Without taking on the form of a retrospective, the exhibition reveals several areas that mark the different stages of the work of the artist. 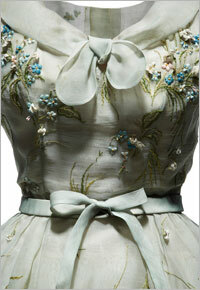 «Impressions Dior» at the Christian Dior Museum, Granville. with an exceptional collection of loans from collections including the Musée d’Orsay and the Musée Marmottan. 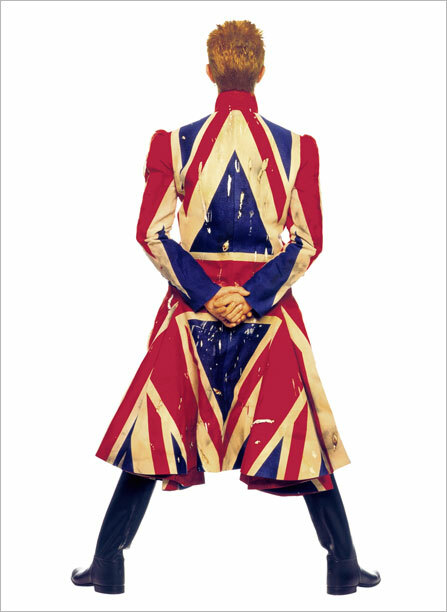 «David Bowie Is» at the Victoria & Albert Museum, London. This is a retrospective of a unique scale that devotes the entirety of the V&A to David Bowie. While sharing the same place (London) and the same date of birth (immediately post-war) of many rock stars, Bowie is the only one whose career can lend itself to an exhibition of this magnitude. 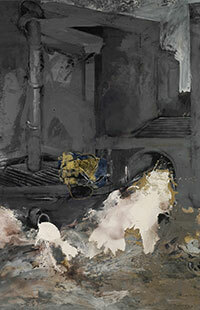 In total, 300 items have been selected from the 75,000 stored in the personal archives of the artist. «Ron Mueck» at the Fondation Cartier, Paris. Australian sculptor Ron Mueck presents his moving and disturbing works, marking his big institutional return to Europe. After the success of 2005 at the Fondation Cartier, this new solo exhibition is the most complete and most current production of the artist. 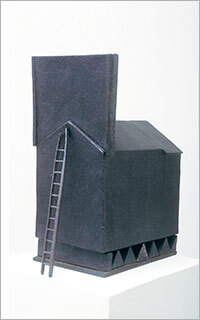 It reveals, in particular, the unveiling of six new works and three sculptures created especially for the occasion. A spirituality and a deep humanism emanates from the sculptures, suggested by the seemingly ordinary subjects, causing an inevitable compassion from the viewer. Beyond any portraitist intention, Ron Mueck confronts us with the disturbing strangeness of the relation between the body and existence. These works, revealed in the privacy of their creation through a new film, reaffirm the modernity of highly sensitive art, as powerful as it is evocative. «Brasilia, half a century of the capital of Brazil», Paris. 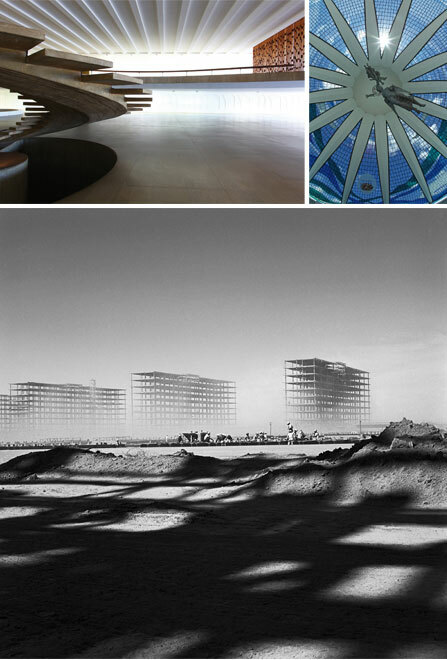 For the first time in France, an exceptional exhibition pays tribute to the Brazilian architect Oscar Niemeyer, through the history of the construction of Brasilia, his main masterpiece. in 1960 and its inclusion into the category of World Heritage Sites in 1987, it is the history of this utopian and futuristic city that is being told. A masterpiece by the architect Oscar Niemeyer, urban planner Lucio Costa and landscape architect Roberto Burle Marx, Brasilia represents one of ten major architectural events of the twentieth century. Through a new collection of rare objects, historical photographs and models, the exhibition reflects the modernist thinking of its makers.